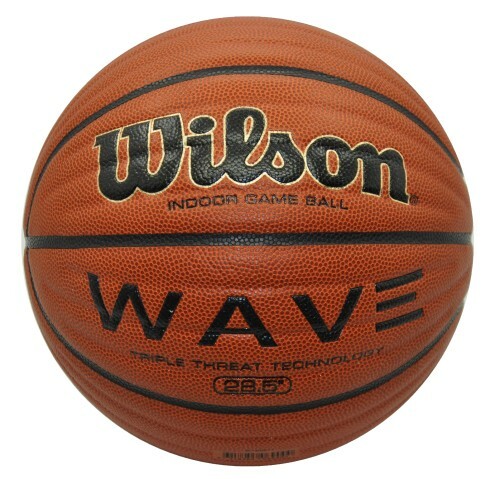 This revolutionary game ball, the Wilson Wave Basketball features 24 T3 (Triple Threat) Grooves integrated into the ball's carcass that create leverage points to increase ball control, which enhances passing, shooting and dribbling. Inside the ball, the patented Cushion Core technology combines low-density sponge rubber with ultra-durable butyl rubber for superior softness and exceptional grip. It also offers a micro-fiber composite leather cover with deep pebbles. It's an excellent high school basketball, and it's approved by the NFHS.